The Gold Ballroom at Mendenhall Inn all prepped and ready for the guests to come in. 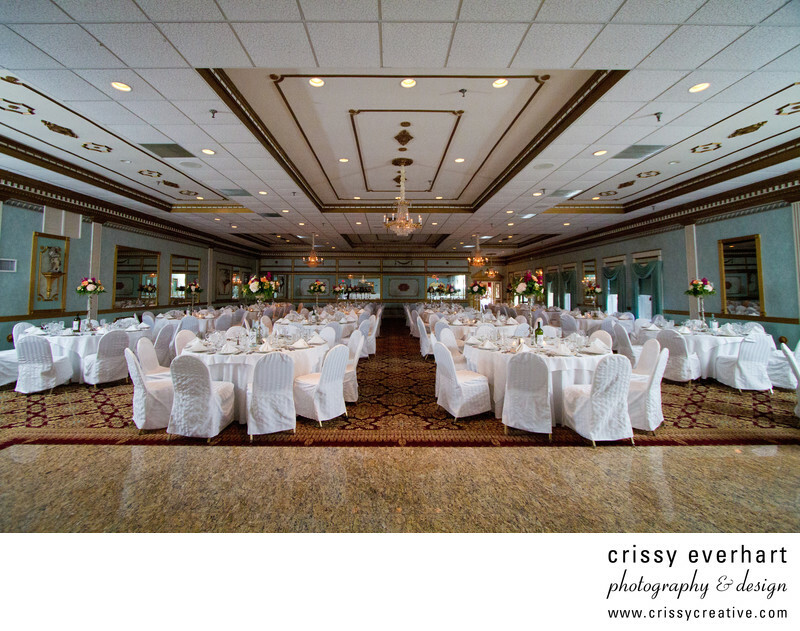 White chair covers and white tablecloths. Location: 323 Kennett Pike, Mendenhall, PA.